Building on its successful private residence clubs, Ritz-Carlton has just announced its new Destination Club which will include its luxury fractional residences. The new destination club has two membership types. This is for members who have an affinity to travel to a specific Club location on a recurring basis. Up until now this was referred to as the Ritz-Carlton Club, we just wrote about the Ritz-Carlton Club in Tahoe earlier this week. Members have a deeded fractional interest in a specific Ritz-Carlton residence, and use an allocated number of days per interest for their vacations. Members may also use a portion of their time at other home Club locations on a reciprocal use basis in accordance with reservation procedures. This membership type is ideal for those who love a particular destination. This is for members who love to travel to a variety of destinations. It is a points-based membership structure, where members buy a certain number of points and then use these to stay at different locations. The number of points for each stay varies by location, size of residence and time of year. Members may also exchange 25 percent of their points for access to participating Ritz-Carlton hotels and resorts worldwide. In technical terms, membership provides a beneficial interest in a trust which is secured by deeded real estate. Residences range in size from approximately 570 - 2,800 square feet of living space and are equipped to the expected high standards of the Ritz-Carlton. and the participating Ritz-Carlton hotels are located in Europe, Asia, Africa, The Middle East and the Americas. Members are paired with their own member experience manager who serves as their primary long-term liaison. In each location there are dedicated concierge staff who provide a wide array of services, such as airport pick-up, pre-arrival provisioning of the residence, unpacking and pressing pre-sent garments and arranging a complete itinerary. 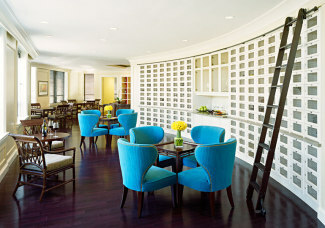 Ritz-Carlton is certainly renowned for its levels of service. In the Home Club prices vary depending on location and membership purchased. Currently, a deeded interest with a Home Club Membership ranges from the low $100,000s to the low $800,000s. Annual dues range range from $7,400 - $25,000 per interest. Beneficial interests within the Portfolio Membership are sold in increments of 2,500 Club points with a minimum purchase requirement of 5,000 points. Pricing starts at $130,000 and annual Membership dues are approximately $7,300 at the minimum 5,000 points level, with additional annual dues of $3,150 for each additional 2,500 points. Like any form of real estate, the Member's deed can be sold, willed or transferred by the Member at any time. 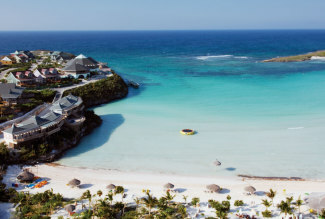 The Ritz-Carlton Destination Club already has nearly 3,000 members which it has built up since launching it's first property about 10 years ago.